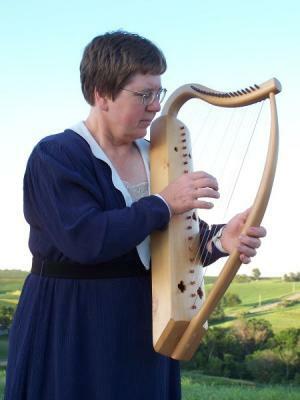 "Teach him to harpe with his nayles sharpe"
The harp is one of the most ancient types of stringed instruments. It was important in pre-Christian cultures and still survives today in many forms all over the world. Harps use open strings exclusively, thus the range of each is determined by the number of strings. In the Middle Ages strings were made from twisted animal gut (usually from sheep), although horse hair and even silk were used as well. 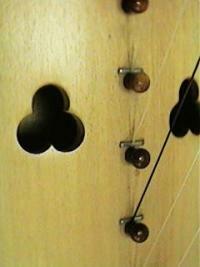 Each string of the harp is attached to a wooden peg or metal pin. 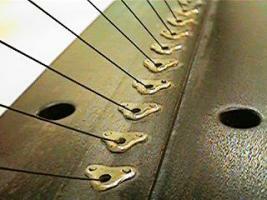 Strings are tuned by adjusting these pegs or pins. Since tuning was diatonic, only one mode could be used at a time. According to the Laws of Wales (twelfth century), the three items indispensable to a gentleman were his harp, his cloak, and his chessboard, while the three proper things for any man to have in his house were a virtuous wife, his cushion on his chair, and his harp in tune. 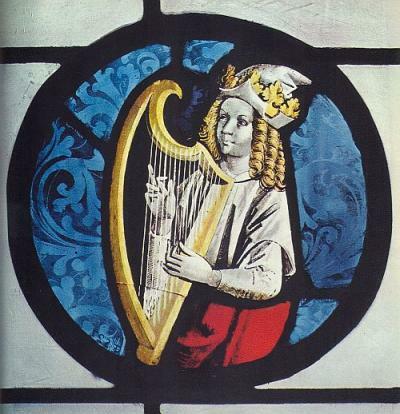 Due to the lack of a notation system, little is known about how the harp was used, how it accompanied troubadour melodies and what kind of preludial and interludial material might have been performed. Players relied on memory and improvisation. 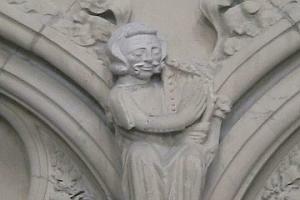 The harp had an important role in legend and folklore. It not only was the instrument assigned to King David, but also was credited with supernatural powers which could destroy the feynde's myght. 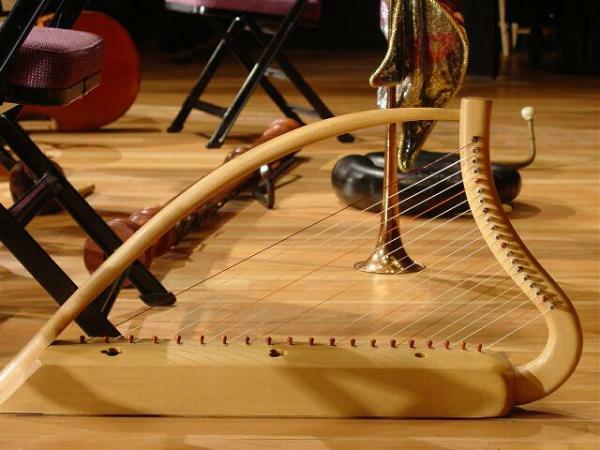 The Romanesque harp was developed in the eleventh through thirteenth centuries. One of Musica Antiqua's harps is based on a late twelfth century English Bible illumination. It has twenty gut strings, a range of almost three octaves (f to d3), is thirty inches tall, and is ideally suited to accompany minstrel, troubadour and trouvere songs. The brass strung clarsach replica was made by Tim Hobrough of Scotland.